New Park Village was built in the 1970s replacing terraced housing in Park Village. The 1970s saw a change from provision of houses inside the borough to overspill housing in New Towns. The boundary of Dawley New Town (est 1963) was doubled in size in 1968 and re-named as Telford New Town to re-house tenants from Walsall, Wolverhampton and Birmingham. One of the difficulties faced in Telford was the lack of employment opportunities for the new residents. Some small infill estates were built on slum clearance sites. 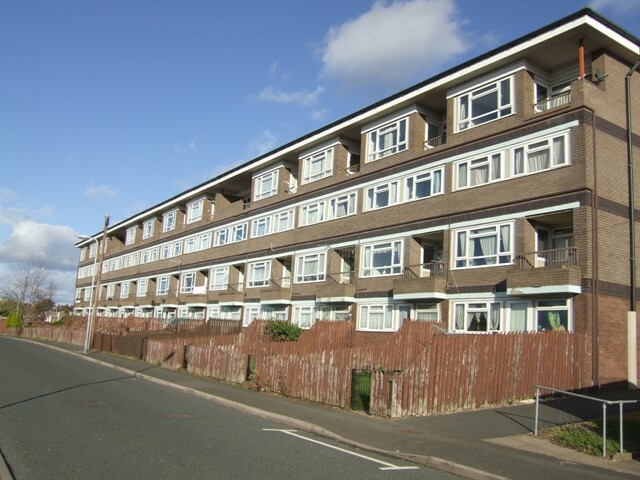 The Housing Acts of the mid 1970s shifted the emphasis of housing provision to a needs basis. 1975 saw the high water mark with almost one third of the population in council owned properties. Legislation and ‘Right to Buy’ brought in by the ‘Thatcher’ government changed the face of council housing with the council housing portfolio reduced in size. More recently the shift has been to social housing provided by Housing Associations. This page has been viewed about 674 times.